Steve Cline went through a rough stretch for the Cedar Rapids Giants in 1975, but on this day in August, he was back to form, according to The Cedar Rapids Gazette. Cline shut out rival Waterloo. That was after giving up 11 earned in his last five outs of work, The Gazette wrote. "It's really something to win," Cline told The Gazette afterward. "The guys behind me really did a great job. They deserve a lot of credit. They made some great plays today." Cline went on to pitch in a total of six professional seasons, never making it to the majors. He's spent his time since helping others win, and sending others on to the majors. 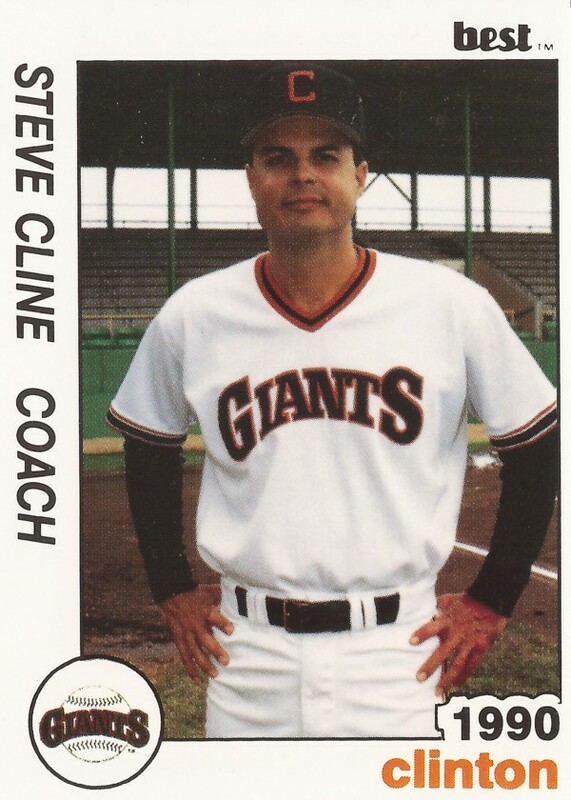 Cline has been a coach in the Giants and Brewers system for three-and-a-half decades now, coaching as high as AAA Phoenix and spending much of his recent time in rookie ball. Cline's long career in baseball began in 1974, taken by the Giants in the sixth round of the draft out of Clemson University. Cline played his first season at rookie Great Falls. He then moved to Cedar Rapids in 1975, where he went 5-12. He made AA Waterbury in 1977, then AAA Phoenix in 1979. His 1979 season was his last as a pro. 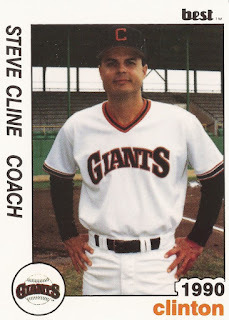 By 1981, Cline was a coach with the Giants at single-A Clinton. He coached at single-A Fresno in 1987 and AA Shreveport in 1989. He was back at Shreveport in 1994. Already with 15 years in as a coach, Cline told The Tulsa World about sending pitchers up the ladder. "It's satisfying to see the pitchers make it to the big leagues," Cline told The World. By 1999, Cline had moved on to the Brewers system, coaching at rookie Ogden. He's since made a home with the club in the rookie Arizona League, where he coached in 2014. In 2013, one of the players he watched over was Utah native Dylan Brock, working with him on new pitches, including a changeup. "He has taken to it [the changeup] quite well," Cline told The West Valley View that August. "It's really nice to see. Every guy needs the three basic pitches. It's nice to see him adapt to it and take to it, and actually have a little feel for it."